Are you suffering from red, sore, inflamed, itchy, or otherwise irritated skin? You may have a skin condition called contact dermatitis. There are two types of contact dermatitis: irritant and allergic. Irritant contact dermatitis occurs after skin comes into contact with harsh chemicals that would be harmful to most people’s skin. Allergic contact dermatitis, on the other hand, is caused by contact with substances or materials to which you have developed a particular allergic hypersensitivity. Some examples could be certain fragrances, metals, rubber, latex, fabrics, or plants like poison ivy. If you are not sure of the cause of your skin condition or how to treat it, we invite you to schedule an appointment with an allergist from Allergy, Asthma, & Immunology Medical Group. 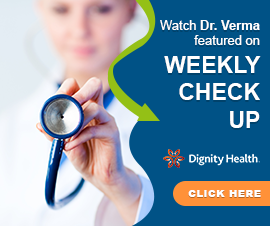 In order to reach a diagnosis, typically a doctor only needs to examine your skin and collect a bit of history regarding your exposure to potential triggers. Often, patients already have a good idea of what is causing their symptoms, whether it be a particular piece of jewelry, brand of cosmetics, or patch of poison ivy in the back yard. However, if you are not sure what is triggering your recurring allergic contact dermatitis, we can perform patch testing. 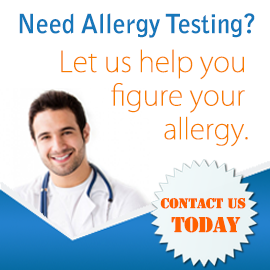 This type of testing involves applying small patches of possible allergens to the skin and then observing the skin during at least two follow-up visits for signs of an allergic reaction. Our doctors can help you find immediate relief from your itchy skin allergy symptoms by offering a variety of moisturizers to help skin repair itself and corticosteroid creams to reduce inflammation. Long term, the best way of handling allergic contact dermatitis is simply to avoid the trigger substances. Do you need help addressing a contact dermatitis issue? Please contact us today to set up an appointment at one of our conveniently located medical offices.